Our draft proposal for working in partnership with neighbouring parishes will be submitted to the diocese today. The proposals received from across the diocese will then be considered by Bishop Seamus and the Diocesan Board, and a plan will be developed for the diocese as a whole. The Bishop’s decisions will then be communicated widely, and partnership arrangements will be firmed up and implemented. Thank you to everyone who has given generously of their time and skills in the preparation of our draft proposal. Congratulations to all who won their bids for their chosen pictures in the auction. In total £575.05 was paid for the pictures. The proceeds will be going towards the new lighting in the church. St. Joseph’s Catholic Club, Birtley on Thursday, 1 December, 7:00-11:00pm. Tickets £17.50 to include a two-course meal and entertainment with music from the 70s, 80s and 90s. For more information, and to buy tickets, please ring Joe Plumb on 0191 3868631. The local fraternity will meet here at St Cuthbert’s next Sunday 20 November at 3:00pm. On Wednesday 30 November there will be a Mass of Remembrance for all the deceased volunteers and supporters of CAFOD at 7:00pm, St Mary’s RC Church, Vart Road, Bishop Auckland DL14 6PQ. All are welcome. If parishioners would like the name(s) of their deceased loved ones entered in the CAFOD Book of Remembrance then please email their names to hexhamandnewcastle@cafod.org.uk no later than Monday 28 November. During November, when the Church traditionally encourages us to remember and to pray for the dead, our Parish Book of Remembrance will be open at the font. Please write the names of your deceased family and friends as a sign of solidarity with those who have gone before us and as a small act of prayer for their souls. Saturday 19 November, 10:00am-4:00pm. Enjoy a walk of seven to ten miles through the beautiful countryside around Minsteracres, with time for prayer, reflection and sharing of the beauty of creation. You will need suitable walking boots and warm, weatherproof clothing. Please bring a packed lunch. Cost £10. Wednesday 23 November, 10:00am-4:00pm. A quiet day led by Sister Rosarie Spence RSM. An opportunity to step aside, listen to God in scripture and enjoy the peace and tranquility at Minsteracres. Coffee and tea are provided. Please bring a packed lunch. Cost £15. Saturday 19 November, 11:00am-2:00pm at Ushaw College. This famous Christmas Fair will be showcasing a wide array of wonderful gifts, Christmas goods and cards – perfect for all of your Christmas shopping needs. There is truly something for everyone! Admission free. As we come to the end of the Church’s year, the Sunday Gospel readings focus our attention on the “end times.” Jesus foretells the destruction of the magnificent Temple in Jerusalem, which took place in 70 AD, when the Romans ruthlessly put down a Jewish uprising. He warns his disciples to expect natural disasters, turmoil and persecution of Christians. But the Lord reassures his disciples that God will be with them in the time of trial – not a hair of their heads will be lost. When the world around us seems confusing and frightening, these words of the Lord encourage us to stand firm in our faith. St Paul tells us to “go on quietly working” – doing the right thing with patience and courage. The truths of the Gospel remain true for all time. God is with us. For Year 7 and upwards will take place on Friday 18 November at 5:30pm. We will have our usual shared meal and watch a film together. Please bring something fro a shared table. Please fell free to bring a friend or two! Everybody is welcome. Mass will be at St John’s College, on Wednesday 16 November. All are welcome. On 13 November the Anglican-Roman Catholic International Commission (ARCIC) Drafting Group will come to Durham. Established in 1967, ARCIC is the official body for formal dialogue between the Anglican Communion and the Roman Catholic Church. The third phase of work began in 2011 and is exploring the church as Communion, local and universal, and how in communion the local and universal church come to discern right ethical teaching. 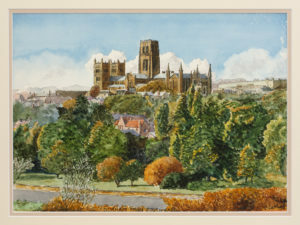 The drafting group will hold a major seminar-consultation in Durham as it moves towards the first agreed statement of ARCIC III. 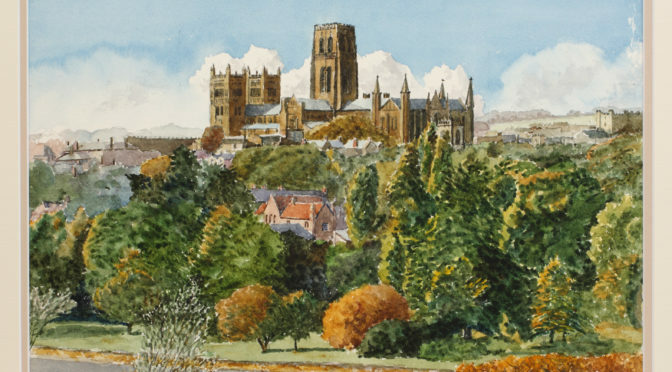 Taking place on the evening of Wednesday 16 November in the Deanery of Durham Cathedral, the seminar will explore the local, regional and universal dimensions of Anglican and Catholic ecclesial life and their interrelationship. 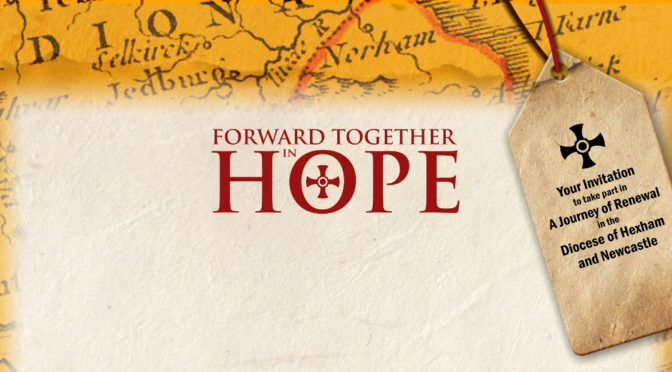 Canon Dr John Gibaut, the Right Reverend Linda Nicholls (Bishop of Huron) and Professor Murray will speak on the work of ARCIC III from Anglican and Catholic perspectives. Next weekend we celebrate Youth Sunday. Bishop Seamus and the Youth Ministry Trust wish to thank you for your generous contributions to last year’s collection and for all you have done throughout the year to support our young people on their faith journey. There will be a collection next week to support the work of YMT. Envelopes are available if you would like the opportunity to Gift Aid your donation. For Year 7 and upwards will take place on Friday 18 November at 5:30pm. We will have our usual shared meal and watch a film together. Please bring something for a shared table. Please fell free to bring a friend or two! Everybody is welcome. The Sadducees don’t believe in resurrection or eternal life – a belief which grew up late in the Old Testament era. They challenge Jesus with a story that seems to show the absurdity of such a belief: a story of a woman married in turn to seven brothers, who all die, one after the other. But Jesus challenges the Sadducees directly. Their error lies in underestimating God’s creative power, and the depth of God’s love for his people. God created all life, and God’s plan for each one of us is eternal life. In the kingdom of heaven, God’s children will be fully alive, with a life that will make our life in this world seem like a pale imitation. Our faith in eternal life shouldn’t lead us to devalue our life in this world, but to live as well as possible, in preparation for the life to come. Our God is God of the living. The Diocese of Hexham and Newcastle is looking to appoint a full-time Safeguarding Co-ordinator. For further information and an application pack please visit our website www.rcdhn.org.uk or contact us 0191 243 3301, email human.resources@diocesehn.org.uk. The closing date for applications is Friday 11 November. They are also looking to appoint a part-time experienced web and media professional to assist with the development, maintenance and management of media through the diocesan social media channels and websites. The closing date for applications is Friday 18 November. For more information on both posts please see the notice board in the narthex.